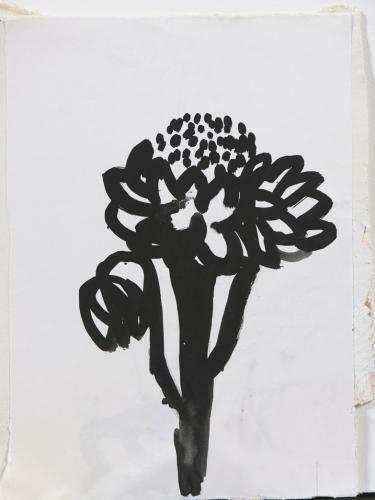 One of a set of 4 striking artichoke paintings in black gouache water colour on paper, on canvas. The paintings have been mounted in hand finished gesso frames with UV protected glass. Available individually, or as a set. Signed. 2013.